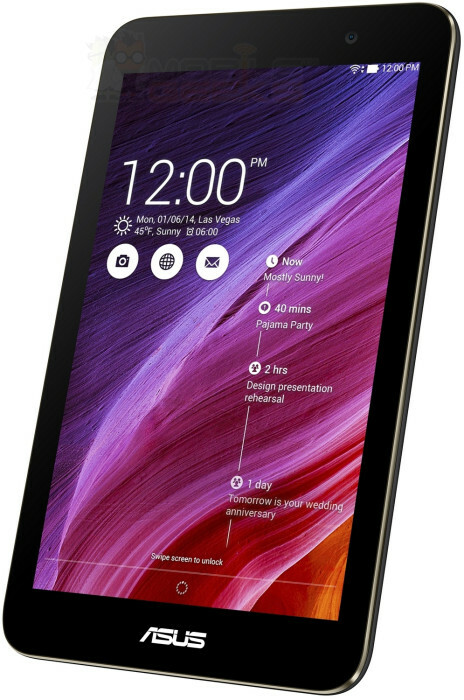 A new 7 inch Asus tablet has leaked, and no, it’s not a new Nexus 7. Sorry. It is, however, one of the first tablets Asus is offering that will be powered by one of Intel’s Bay Trail x86 processors, instead of an ARM processor like 95% of other devices on the market. The processor is reportedly the Atom Z3745, a quad-core chip clocked at 1.3 GHz with a 1.8 GHz turbo boost. It won’t knock off a Snapdragon 805, but it sounds decent enough. The other specs are pretty mid-range, too. with a 1280 x 800 IPS display, 1 GB of RAM, a 5 megapixel rear camera with a 2 megapixel front camera and either 8 or 16 GB of internal storage. Asus is supposedly going to be offering this tablet in black, white, and several other bright colors, and it’ll run their proprietary ZenUI. No word on exact release date, but we’ll keep you filled in.